Winter is long and so, no insects to photo. Decided to do some compositing. All images were originally color. The moon shot was a 300 mm, tripod shot. The birds and tree plus clouds were two separate images taken during the day. The compositing was done in layers in Photoshop using a lot of dodging and burning. The birds were selected and moved into the image. I had some difficulty with fringing on the birds after selection. Any suggestions concerning reducing the fringing? 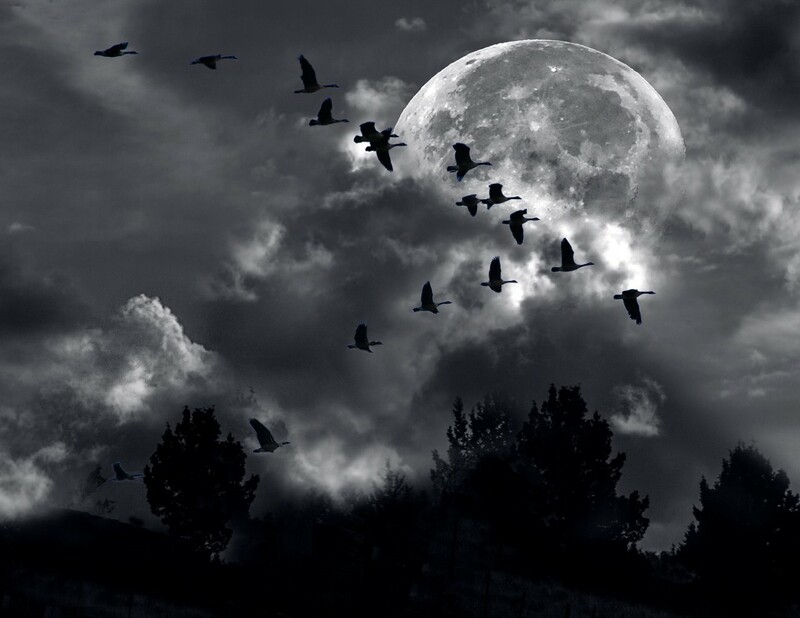 The silhouetted birds are terrific against the moon. Do you really need so much dark tree at the bottom? Feels heavy to me. And could you do with fewer--or less pronounced--clouds? For me, the story is the birds with the moon, and everything else is somewhat distracting.